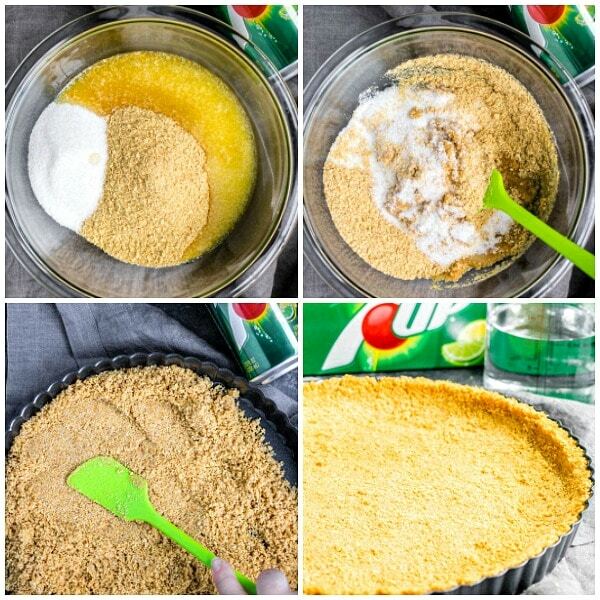 7UP Lemon Tart - Home. Made. Interest. 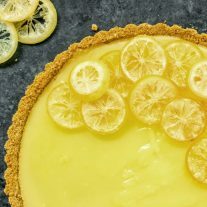 This delicious 7UP® Lemon Tart is an easy summer dessert recipe with a sweet and tart 7UP lemon filling and a graham cracker crust. 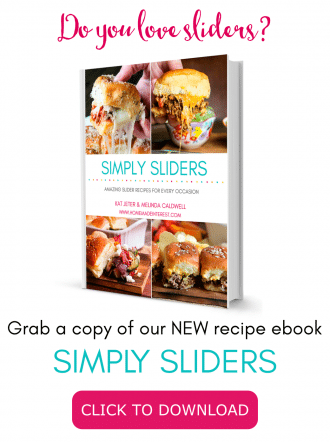 It’s the perfect recipe for summer parties! Summer is finally here and on that first sunny weekend we invited a bunch of friends over for a cookout. We grilled burgers, ate lots of pasta salad and for dessert I made this easy, totally delicious, 7UP Lemon Tart. I LOVE lemon desserts and this one has just the right balance between sweet and tart. It wouldn’t be a party without 7UP, so I always pick up a 12-pack of 7UP or a couple of 2 liter bottles in the drink aisle at Giant Eagle when I’m stocking up for my party. 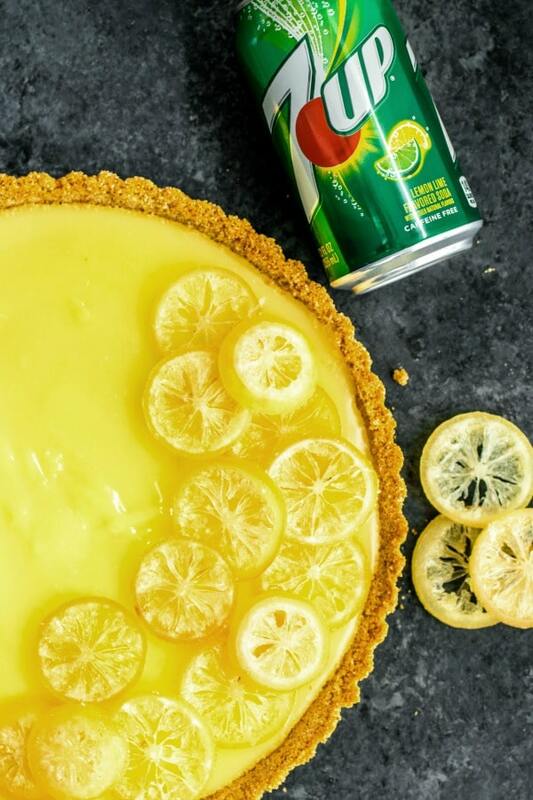 7UP has the right balance of bubbles and a crisp,“milder” taste that makes it versatile enough to make everything from fun party drinks, to a simple 7UP Marinade for Steaks, to this easy 7UP Lemon Tart. When it comes to summer parties, I’m all about keeping it simple. 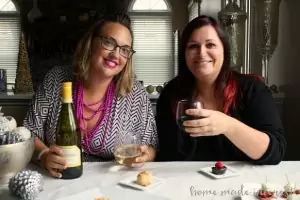 I want to kick back with friends and enjoy the day, so anything I serve needs to be easy and able to be made ahead of time. 7UP Lemon Tart is based off of a family recipe but I’ve simplified it with a graham cracker crust, which only takes 5 minutes to bake, and I added extra lemon lime flavor by substituting 7UP for some of the water in the recipe. It worked perfectly and I love how this turned out! 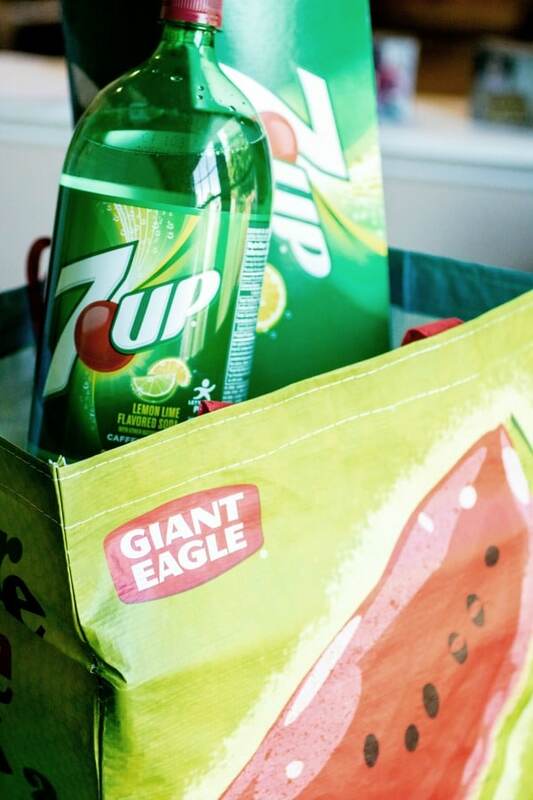 Save on your next purchase of 7UP at Giant Eagle with this COUPON! Combine sugar, graham cracker crumbs, and melted butter in a large bowl and stir together until fully combined. Press mixture into an 11” tart pan, making sure to pack it in firmly and distribute it over the bottom and up the sides of the pan. Bake at 350 degrees F. for 5 minutes then remove from the oven and let it cool completely. In a small bowl combine lemon pie filling, 2 egg yolks, and cold water. Whisk together until fully mixed. In a small saucepan combine 12 ounces of 7UP and ½ cup of water. Bring to a boil then turn heat down to medium. Slowly add boiling 7UP mixture, whisking constantly so the eggs don’t cook. Continue to cook the mixture over medium heat, stirring constantly until bubbles rise up to the surface. Cook for another 30 seconds then remove from the heat. Add the butter, stirring until it is combined. Let the mixture cool for 5 minutes then pour it into the completely cooled graham cracker crust. Leave the lemon tart on the counter until it cools to room temperature then place it in the refrigerate and chill at least 2 hours. If you are storing it overnight, cover with plastic wrap after 2 hours. I garnished my 7UP Lemon Tart with candied lemon slices, but you can keep it really simple and top it with whipped topping or homemade whipped cream, or even serve it without any decorations. 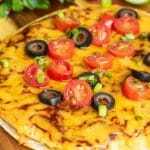 It’s just as delicious with or without toppings! Are you excited to try this 7UP Lemon Tart? SAVE $1.00 on ONE (1) 6-pack 7.5oz. cans or 8-pack 12oz. bottles of any flavor* (Reg. or Diet) 7UP® Grab a COUPON HERE and head to your local Giant Eagle to pick up some 7UP and start baking! 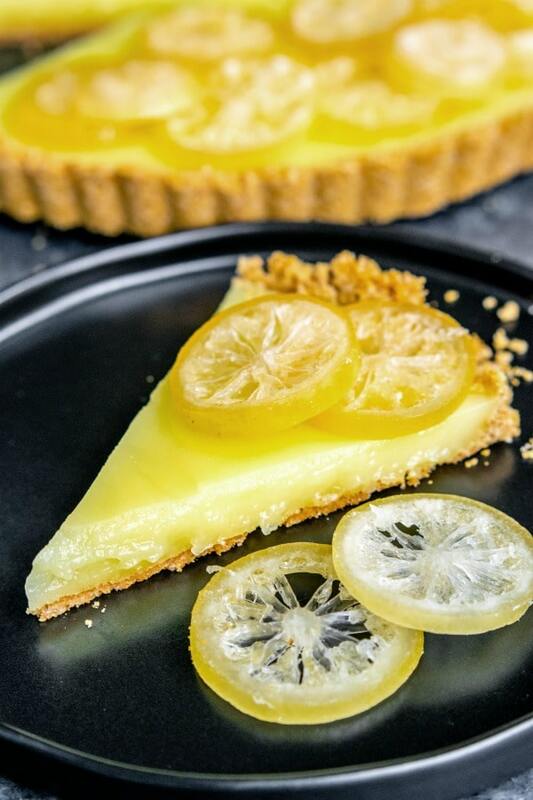 This delicious 7UP Lemon Tart is an easy summer dessert recipe with a sweet and tart 7UP lemon filling and a graham cracker crust. 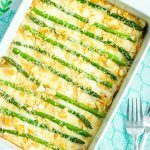 It is the perfect recipe for summer parties! 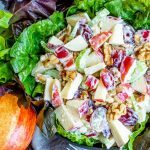 Combine all of the ingredients in a large bowl and stir together until fully combined. Bake for 5 minutes then remove from the oven and let it cool completely. 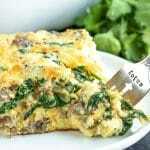 Slowly add about 1/4 of the boiled 7UP mixture to the egg mixture, whisking constantly so the eggs don’t cook. This tempers the eggs so they won't scramble. 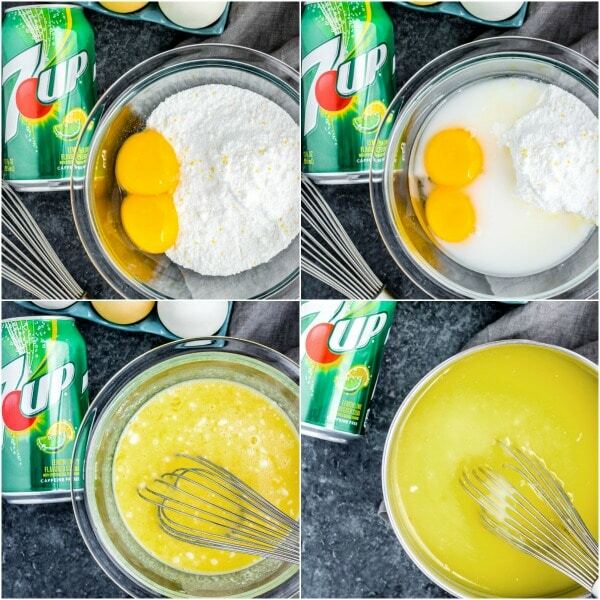 Add the tempered egg mixture to saucepan with the remaining 7UP mixture, stirring constantly. Add the butter stirring until it is combined. Note: This recipe has modified the instructions on the back of the pie filling box. Each brand of lemon pie filling will having varying instructions. If your pie filling instructions differ from these please follow the instructions on the back of your package substituting 7UP for the cold water. If your recipe requires more than 12 ounces of water add cold water to make up the difference.